This begs the question: how can someone truly understand how someone else is feeling? Are some people born with this innate ability, or is it a skill that can be learned and sharpened? Personally, I believe that although people may be born with different levels of empathy, it’s also an important skill that can be taught in the classroom. At Solomon Schechter Day School of Bergen County (SSDS), we have developed a curriculum around important real-life skills that students use long after they graduate — including empathy. Here are some actionable ways educators can teach empathy in the classroom. One way that schools can teach students empathy is engaging students in creative, interdisciplinary technology projects focused on building empathy. For example, at SSDS, our 3rd graders recently collaborated with change management and marketing guru Cynthia Phillips — founder and CEO of The Disruptive Factory, a social change consultancy — as testers and ambassadors for a new animated cartoon series and a transmedia campaign called “Verti.” This year-long project introduces students to fictional characters in the animated cartoon and will ultimately culminate in students building prototypes of a space station they think would benefit the characters, promoting empathy. 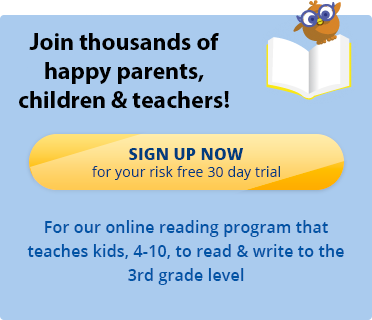 Your child will love learning to read with Reading Kingdom. Sign up today for a free 30 day trial.